Breezer Aircraft GmbH & Co. In a eNewsletter to what they call "Breezerians," the German company with the same name as their model reported a festive debut to their newest model called Breezer Sport. At their home field and despite weather problems for arrivals coming from the south, the airport got "overloaded" with traffic. The Breezer event was "not too hot, not too cold, great clouds for such an event, and little wind," reported Wolfgang Nitschmann. "In short, a dream; even the catering was excellent." 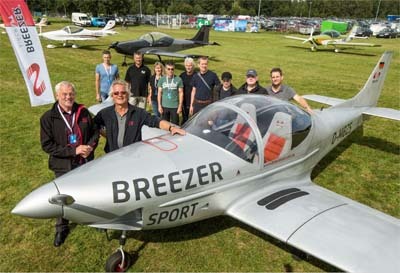 Among a collection of airplanes, rare and contemporary, Wolfgang and team unveiled their new Breezer Sport, joining other models called LSA Elegance and LSA Attraction. All Breezer models are available as B400 or B600 editions, the former being those conforming to Europe's Ultralight Class, limited to 472.5 KG (with a parachute system, as is mandatory in Germany). The latter are the 600 kilogram Light-Sport Aircraft models. Here's our earlier looks at Breezer when first announced in the U.S. and Breezer II when updated. Find more about Breezer Sport, and check out the snazzy paint schemes at the top of the page. The company has often displayed very striking and artistic paint jobs at their Aero Friedrichshafen show exhibit. Breezer Sport has not flown yet. "The weather has so far prevented it," said Wolfgang. "Pictures and videos of the first flight will come over the well-known channels," as soon as practical. Breezer Sport is focused on speed, said the company. "The B400/B600 design philosophy had its roots in the ease of building for the homebuilder market back in the early days," noted Wolfgang. "Today, we can do things differently and that’s why the Breezer Sport has a totally different approach. Plus, the current integration of 3D CAD/CAM systems enables us to create form factors meeting the expectations of strength and performance." Breezer Sport is not only an enhancement of the B400/B600, series they say. "It is a completely new aircraft with totally different technology approaches." "Aluminium is our core competence," said Wolfgang, "so it had been a fascinating task to design a round fuselage. It was all done on computer making the first article close to the proposed production version. The new aircraft has several distinctive qualities compared to earlier models. Counter-sunk rivets support the clean design in smooth surfaces. Tapered wings are new in all aspects from profile to main spar. Breezer Sport uses a spar in a center section connecting to the landing gear. The Sport model's wings are shorter and are attached to the main section. To support low-speed behavior, Fowler flaps provide additional lift. Breezer Sport is designed to accept Rotax engines including 912 UL, 912 ULS, 912 iS and even the new 135-horsepower 915 iS. The new engine cowling is shaped to generate less drag and allows a large opening for coolants or intercooler. The visual dominance in the future is the large side intake. Original Breezer importer Mike Zidziunas poses with an earlier model. As Breezer Sport still awaits flight trials it is premature to talk about performance and other specifications. However, the earlier Breezers were reasonably speedy, flying to 120 mph, so a 915-powered, retractable gear, slimmed fuselage Sport may be quite fast. European regulations do not limit speeds of their Ultralight models and allow both retractable gear and in-flight adjustable props. In a eNewsletter to what they call “Breezerians,” the German company with the same name as their model reported a festive debut to their newest model called Breezer Sport. At their home field and despite weather problems for arrivals coming from the south, the airport got “overloaded” with traffic. The Breezer event was “not too hot, not too cold, great clouds for such an event, and little wind,” reported Wolfgang Nitschmann. “In short, a dream; even the catering was excellent.” Among a collection of airplanes, rare and contemporary, Wolfgang and team unveiled their new Breezer Sport, joining other models called LSA Elegance and LSA Attraction. All Breezer models are available as B400 or B600 editions, the former being those conforming to Europe’s Ultralight Class, limited to 472.5 KG (with a parachute system, as is mandatory in Germany). The latter are the 600 kilogram Light-Sport Aircraft models. 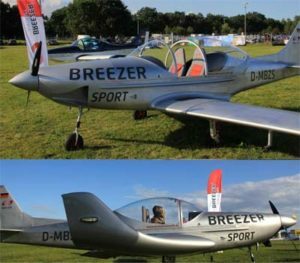 Here’s our earlier looks at Breezer when first announced in the U.S.
Read More About: Breezer Aircraft GmbH & Co.
Breezer Aircraft now offers a kit version of their all-metal Light-Sport Aircraft. The German company relies on support from American importer Mike Z, who shows us around the new money-saving opportunity in the LSA space. Not too many kit LSA are available yet (with a few notable exceptions like the Van's RV-12), but here's another entry. Breezer Aircraft now offers a kit version of their all-metal Light-Sport Aircraft. The German company relies on support from American importer Mike Z, who shows us around the new money-saving opportunity in the LSA space. Not too many kit LSA are available yet (with a few notable exceptions like the Van’s RV-12), but here’s another entry. The first airplane to sell at Sebring 2010 was this Breezer II. What a fitting way to start off the new U.S. import and distribution operation handled by industry veteran Mike Zidziunas (everyone calls him "Mike Z"). Breezer is an German-built, all-metal SLSA that flies beautifully and has a new cockpit interior. Breezer Aircraft USA -- not the web name as mistakenly stated in the video -- will be based at Plant City, Florida, near the home of Sun 'n Fun. The first airplane to sell at Sebring 2010 was this Breezer II. What a fitting way to start off the new U.S. import and distribution operation handled by industry veteran Mike Zidziunas (everyone calls him “Mike Z”). Breezer is an German-built, all-metal SLSA that flies beautifully and has a new cockpit interior. Breezer Aircraft USA — not the web name as mistakenly stated in the video — will be based at Plant City, Florida, near the home of Sun ‘n Fun. See the German-made Breezer sold by Sportsplanes.com. This all-metal Light-Sport Aircraft has already evolved into the Breezer II and is one pleasant flying machine you might like. General aviation pilots will like some of the new features of this second version. A well-worn line is often repeated by those trying to gain approval for an aircraft. The line is typically employed referring to FAA Part 23 type certification because that regulation dictates massive documentation of design, testing, production systems, and more. It is often stated humorously but it's quite serious. "When the paperwork weighs more than the airplane, you're done!" It means an impressive amount of documentation is required to get FAA's blessing for a new Cessna-Cirrus-Diamond-Piper. In recent news about the approval of a Light-Sport Aircraft by the European Aviation Safety Agency, Breezer lays claim to a fairly rare credential. Breezer is only the fourth LSA I am aware of to achieve Restricted Type Certificate approval from EASA, the Europe Union equivalent to FAA. The first two were (in order) PS-28 Cruiser from Czech Sport Aircraft followed by the CTLS-ELA from Flight Design. Both were awarded at Aero 2012. These two were followed by Evektor in the number three slot. On January 22, 2016, "Breezer Aircraft received the EASA Type Certificate for the B600m" reported Wolfgang Nitschmann, head of sales for the German producer. He said that after their first sales in the American LSA category in 2009, Breezer began work on certification for EASA's version of LSA. "It is fairly similar to the ASTM rules," noted Wolfgang. However, beside meeting all ASTM standards, Breezer had to gain Design Organization Approval, which they accomplished in 2012. "Certification has been an intense verification process of strength assumptions, aerodynamic performance, usability and structured documentation," Wolfgang observed. "At the end, the type certificate [required] 3,000 documents ... roughly 15,000 sheets of paper to achieve final [approval]." He added that 150 flight test hours were performed and it took roughly 1,000 hours to work on the data achieved during flights, incorporating them into strength assumptions and into the pilot's operating manual. For Breezer Aircraft, the process of certification has been a milestone achievement. "Especially the EASA rules for quality management lead to an increased level of quality awareness." said Wolfgang. Many believe customers benefit from the tighter processes involved to gain the Restricted Type Certificate. When the first aircraft won their RTC AOPA wrote, "While the new [European] standards for light aircraft certification are less cumbersome and costly [than those required for heavier aircraft], Light-Sport certification in Europe remains similar to Part 23 certification in the United States." No wonder only a few aircraft have gone through this tedious process. My longtime associate at LAMA Europe, Jan Fridrich noted that EASA still pursues an expensive and complicated process for approval. He wishes it was "one to one," meaning an identical procedure as in the USA. Indeed, the safety record after a dozen years of LSA is, to use FAA's preferred term, "acceptable." 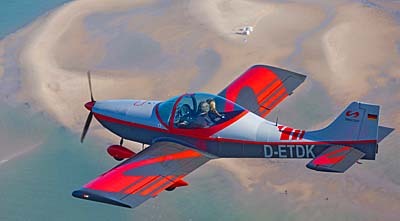 Breezer Aircraft has produced their Rotax-powered all-metal aircraft in northern Germany since 2000. For some years, the model was represented in the USA but at present, Breezer is not sold in America. If interested, you find company contact info here. Breezer's certificated B600 is available with two levels of equipment. You can have a fully loaded Elegance model with a Dynon glass cockpit and a list price of $134,950 at present euro-dollar exchange rates. For flight schools or those on a slimmer budget, the more basic Attraction model lists for less than $108,000 (98,800 euro). Both models use a 100 horsepower Rotax 912 ULS engine. Originally aimed squarely at the American Light-Sport Aircraft market, Breezer is a 13-year-old design. Cruise speed reported as 103 to 118 knots, with fuel burn between 3.4 and 5.8 gallon per hour following the old car racing line, "Speed cost money. How fast do you want to go?" See several videos and articles on Breezer here. A well-worn line is often repeated by those trying to gain approval for an aircraft. The line is typically employed referring to FAA Part 23 type certification because that regulation dictates massive documentation of design, testing, production systems, and more. It is often stated humorously but it’s quite serious. “When the paperwork weighs more than the airplane, you’re done!” It means an impressive amount of documentation is required to get FAA’s blessing for a new Cessna-Cirrus-Diamond-Piper. In recent news about the approval of a Light-Sport Aircraft by the European Aviation Safety Agency, Breezer lays claim to a fairly rare credential. Breezer is only the fourth LSA I am aware of to achieve Restricted Type Certificate approval from EASA, the Europe Union equivalent to FAA. The first two were (in order) PS-28 Cruiser from Czech Sport Aircraft followed by the CTLS-ELA from Flight Design. Both were awarded at Aero 2012. Mike Zidziunas — or as everyone calls him, "Mike Z" — (seated) and student Greg Slimko pose beside a Breezer LSA. Zhang Changyi stands on the wing of a Sting S4 LSA at his impressively large aircraft supermarket on the outskirts of Beijing. photos courtesy France 24 and The Australian. CORRECTION 4/10/13 — Due to a misinterpretation of Just Aircraft's recent news release I must update an earlier report. The company did indeed take its 300th order but it was for all versions of the Highlander model, not just the SuperSTOL. At Sun 'n Fun 2013, company leader Troy Woodland confirmed very strong interest in the STOL model and expects around 60 orders in the first year since it was introduced. The big plus of my conversation with Troy is an impending flight in the remarkable-flying SuperSTOL, which I will report as soon as possible. Amazing SuperSTOL! — We've got a few news items as we head to Sun 'n Fun where lots more will emerge. One of the big pre-show items was news from kit and SLSA producer Just Aircraft who reported the number 300 order for its Highlander. On a visit en route to Oshkosh last summer we stopped to visit the company and saw the SuperSTOL design taking final form. That's only eight months ago and Just Aircraft has since reported keen interest. With its two-section, slatted wing, the Highlander can cruise at 110 mph, land at 32 mph and take off or rollout in only 150 feet (and we've seen them prove it). Landing gear with long strut shocks can handle aggressive landings off-airport. Combined with large Fowler flaps SuperSTOL can be flown at extremely high angles of attack permitting it to land in very small or inclined clearings. We were quite impressed with both the factory and this new airplane but clearly it flipped a switch for plenty of others, too. The Walhalla, South Carolina company reported steadily selling three kits a month last summer and that's a healthy performance in the midst of an economic downturn (or pretty much anytime for that matter) but their SuperSTOL has substantially increased business activity since our visit. In an interesting sidebar, the company notes that all existing Highlanders can be retrofitted with the new folding SuperSTOL wing. 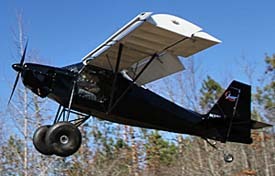 The Highlander SuperSTOL can be configured as a taildragger or nosewheel aircraft (though why you'd want the latter is beyond me). Check out more details in this video but hearty congratulations to Just Aircraft for their inspirational work! Beringer Upgrades Wheels & Brakes — You may not know the brand but Beringer is a formidable producer in Europe. Their specialty is wheels and brakes (image). 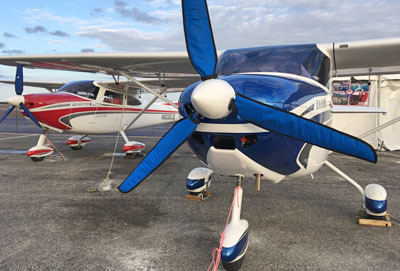 "Beringer announced a new two-piece lightweight six-inch main wheel and brake assembly for LSA and other very light aircraft, featuring greater strength, lighter weight, and longer brake-pad life than ever," said company president, Gilbert Beringer. The new wheel assembly is 6.3 ounces lighter than even the lightweight three-piece Beringer predecessor; and its static load is increased, for aircraft rated up to 1,870 pounds. Brake pad life projection has been upgraded to 1,500 cycles, for further savings in cost and downtime. The SL wheel assembly is available now at $598 plus shipping. Email their U.S. agent for more info or call 708-667-7891. Cushy Seats for CubCrafters — CubCrafters announced availability of new Oregon Aero seat cushion systems for their LSA models: Carbon Cub SS, Sport Cub S2 and Carbon Cub EX. CubCrafters said the new cushions are an entirely new design from Oregon Aero, intended exclusively for CubCrafters' LSA models. Oregon Aero COO, Tony Erickson, said, "These new systems embody the sum of our substantial experience of maximizing pilot and passenger comfort. The design shifts the hips, pelvis and back into proper position while the visco-elastic foam distributes weight evenly and eliminates hot spots." Customers can order cushions in black leather or fabric. Buyers of new LSA aircraft may select the new seats as an option and current owners may upgrade their front seat by returning it to CubCrafters. They can purchase aft seat cushion upgrades separately. Phil Lockwood Explains Everything Rotax — Phil Lockwood's Rotax Aircraft Engine Forums are some the best attended talks at major airshows. At Sun 'n Fun 2013, visitors can hear Phil Lockwood speak about the Rotax two-stroke engine on Wednesday, April 10th, 2013 at 10:00 AM to 11:15. The forum will be held in the new Paradise City area on the southeast of Sun 'n Fun. Phil will inform listeners about fuels, specifically about the use of 100 LL avgas or ethanol mogas plus he will cover which oil products have proven well in company evaluations. The next day, Thursday, April 11th from 10:00 to 11:15 , he'll discuss the Rotax 9-series of four-stroke engine on also in Paradise City. In the second talk Phil will present the comparison test his company has been running on an AirCam where they installed a carburetor 912 ULS on one side and a fuel-injected Rotax 912 iS on the other. No one else has this info. 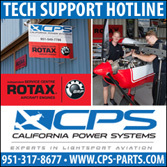 Lockwood Aircraft Supply said it is the number one Rotax service center in North America. Mike Z is "The Man" — Lots of LSA folks have come to know Mike Z one of three ways: He's the Breezer importer; he was given the honorary title of "Ambassador" for his efforts to bring pilots to the Bahamas on several occasions; and, more recently, Mike Z moved his operation from Plant City to Lakeland Linder airport. In fact, he operates his aircraft sales and service business plus a very active flight school right on the campus of Sun 'n Fun, occupying one of the organization's hangars. His most recent accomplishment? He earned Inspection Authorization privleges. Many other top mechanics also have this credential, but Mike's path is unique. He started with his Light Sport Repairmen-Maintenance rating, and then proceeded to get his A&P license, the first to do so from the LSA ranks, he reported. Now in another first, his full mechanical title is LSRM A&P IA. (Thank God FAA loves to abbreviate everything.) Congratulations, Mike Z! China Starts to Embrace LSA — A Chinese aircraft dealership operated by Zhang Changyi opened recently in a cluster of buildings surrounded by farmland on the edge of the capital of Beijing, offering several Light-Sport Aircraft including the Sting and Pipistrel models. It was reported, "Zhang hopes to profit from the growing ranks of wealthy Chinese aspiring to own private aircraft." He may be onto something even while the government slowly decides how to open the airspace. "We've sold three aircraft in the last four days," he said during a visit when he showed reporters a warehouse filled with gliders, LSA, and helicopters. Apparently, it is a target rich environment despite very modest airplane ownership at present. State media reported only 150 such aircraft registered in 2011, despite an estimated one million millionaires as a result of the nation's economic boom. Zhang said his customers can fly inside a 2.5-mile area surrounding the airport — run by a Beijing flying club — at heights of up to 500 meters (1,650 feet), thanks to an agreement with the local Air Force base. While we welcome Chinese aviators to the ranks, the report ought to make you thankful you live in a free country. CORRECTION 4/10/13 — Due to a misinterpretation of Just Aircraft’s recent news release I must update an earlier report. The company did indeed take its 300th order but it was for all versions of the Highlander model, not just the SuperSTOL. At Sun ‘n Fun 2013, company leader Troy Woodland confirmed very strong interest in the STOL model and expects around 60 orders in the first year since it was introduced. The big plus of my conversation with Troy is an impending flight in the remarkable-flying SuperSTOL, which I will report as soon as possible. Amazing SuperSTOL! — We’ve got a few news items as we head to Sun ‘n Fun where lots more will emerge. One of the big pre-show items was news from kit and SLSA producer Just Aircraft who reported the number 300 order for its Highlander. On a visit en route to Oshkosh last summer we stopped to visit the company and saw the SuperSTOL design taking final form. Phillip "Maverick" Herrington and Angel "Talisman" Castellanos, a pair of 17 year olds, will perform a precision formation flight. Taking their training seriously allowed these two young pilots to gain a rare opportunity. Breezer Aircraft USA, run by LSA expert Mike Zidziunas (or "Mike Z") is based at Plant City, a neighboring airport to Sun 'n Fun. Remember when you were 17? For a pair of Sport Pilots that age, Wednesday at Sun 'n Fun 2012 will be a day they remember, possibly for the rest of their lives. How cool is that?! *** According to the good folks at Breezer Aircraft USA, "On March 29th, the Sun 'n Fun air show will open with an event which people all around have declared impossible!" To kick off the show, two Central Florida Aerospace Academy students will use a pair of Breezers to perform a precision formation fly-by to open the afternoon air show. The two pilots are Juniors in high school. *** The Central Florida Aerospace Academy of Kathleen High School is home to some of Polk County's most advanced students. CFAA is housed in a snazzy new building just across the street from the Florida Air Museum on the Sun 'n Fun campus. CFAA will also be the location for the show's popular forums during the event. *** Two young fellows are aspiring Top Gun aviators and have created appropriate nicknames: Phillip "Maverick" Herrington and Angel "Talisman" Castellanos. Both pilots have looked fondly at the the skies since they were five years old. Phillip and Angel joined CFAA for high school, passing their advanced classes with flying colors. They have always been top in their Aerospace classes. 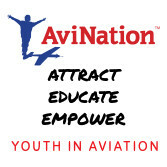 *** The students at CFAA, significantly funded by aviation philanthropist James Ray, have the opportunity to practice the skill of piloting an aircraft in the Flight Simulator Lab. The students obtain a grade on how well they perform in certain "profiles," scenarios set up in the simulator by the aerospace instructor. However, Maverick and Talisman took a different tack when they entered the Sim Lab. For the past month the young Top Guns have been practicing precision formation flying in hopes that Sun 'n Fun Air Boss Wayne Bogs and new President John "Lites" Leenhouts would approve of a wild dream to fly in the Sun 'n Fun air show. |||| "Talisman" Castellanos is part of the Air Force JROTC program took a field trip to the Florida Air Museum while in 8th grade year when he discovered CFAA and was immediately interested. In the summer of 2011 he qualified for the first James Ray Future Eagle scholarship that allowed him to complete ground school and solo. He was the first to solo and received a second scholarship to complete a Sport Pilot certificate in a PiperSport LSA. On December 30, 2011 he won his new license, the first at CFAA to do so. Castellanos aspires to be accepted to the Air Force Academy. *** While still in 7th grade "Maverick" Herrington told his dad that he would not get his drivers license until he obtained his pilot license. After discovering CFAA, he applied for a scholarship and received one on May 12, 2011. On May 15th he flew his first flight lesson, and soloed on October 15th. He was scheduled to do his check ride on December 17, 2011 but everything was put on hold when he was the passenger in an Ercoupe that crashed on takeoff November 19th. On December 24, 2011 he climbed back into the airplane for the first time after the accident, soloed again a week later, and on January 28, 2012 received his Sport Pilot certificate. Herrington's goal is to become a Naval Aviator. He plans to attend Embry Riddle Aeronautical University and wants to join NROTC. Today, Phillip is a 17-year-old licensed Light Sport Pilot and does not hold a drivers license. *** Cool! Along with many thousands of others at Sun 'n Fun, I'll be watching these two youngsters. Remember when you were 17? For a pair of Sport Pilots that age, Wednesday at Sun ‘n Fun 2012 will be a day they remember, possibly for the rest of their lives. How cool is that?! *** According to the good folks at Breezer Aircraft USA, “On March 29th, the Sun ‘n Fun air show will open with an event which people all around have declared impossible!” To kick off the show, two Central Florida Aerospace Academy students will use a pair of Breezers to perform a precision formation fly-by to open the afternoon air show. The two pilots are Juniors in high school. *** The Central Florida Aerospace Academy of Kathleen High School is home to some of Polk County’s most advanced students. CFAA is housed in a snazzy new building just across the street from the Florida Air Museum on the Sun ‘n Fun campus. Is 2011 the Year of the ELSA? Van's Aircraft RV-12 is selling well as an ELSA kit. Breezer's new ELSA kit in quick-build form. Breezer is an all-metal Light-Sport Aircraft offered in SLSA or ELSA forms. One of the "diamonds in the rough" of the LSA movement has been the kit LSA or Experimental LSA or simply ELSA. For the first five years of Light-Sport Aircraft, fully manufactured Special Light-Sport Aircraft dominated the sales figures. With very few exceptions, ELSA were nowhere to be found. That's begun to change, perhaps as voices have been getting louder about the prices of today's well-equipped and surprisingly capable SLSA. Are ELSA a way to constrain the cost for consumers? Maybe. *** In February EAA reported that worldwide GA aircraft shipments included 889 piston-powered aircraft plus a slightly larger number of business jets and turboprops. Shipments declined 11.4 percent because of the struggling economy. However, EAA said, "Interestingly, homebuilt aircraft registrations continued their growth in the U.S. last year. A total of 941 homebuilt aircraft were added to the FAA registry in 2010, an increase of 10 percent from the previous year. There are now more than 32,000 homebuilt aircraft registered in the U.S." So kits outsold GA factory-built models. While a reflection of the troubled economy, it nonetheless shows the resiliency of the kit aircraft community. *** We have several ELSA producers including the kit market leader, Van's Aircraft and limited number of smaller manufacturers. 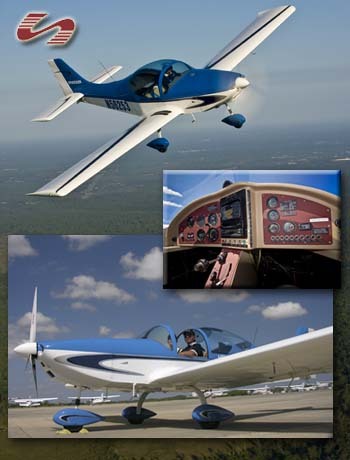 ELSA are different than Experimental Amateur Built (EAB) models that meet the LSA parameters. *** Perhaps it is telling or fitting that Breezer Aircraft has just announced a new ELSA kit to complement their Breezer II SLSA. The northern Germany company reported, "[Our news has] been rewarded with lively interest. The first two kits, which are due to arrive in Florida on March 19, have already been sold, and will be delivered to their owners before the Sun 'n Fun show starting in a few days." 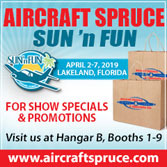 *** Florida-based Breezer Aircraft USA will have a kit on display at their booth close to the LSA Mall located near the main Sun 'n Fun entrance. Importer Mike Z and his Breezer USA team will be demonstrating the assembly work involved in putting the kit together as the week progresses. "The kit is priced at just $39,995," said Breezer in Germany, "and [the ELSA kit] offers a realistic build time of 400 hours, which is the lowest in its class." *** In fairness, we have fully built SLSA that offer lower price tags, too, even while kits may offer more deluxe aircraft at reduced cost. 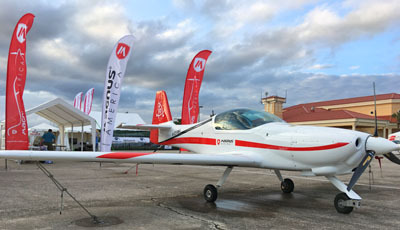 Low-cost, ready-to-fly SLSA include: Aerotrek's A220 at about $70,000; X-Air's LS at about $60,000; Rainbow's Cheetah at about $55,000; CGS's Hawk at about $40,000; and M-Squared's Breese at $35,000. In addition, the industry offers trikes and powered parachutes at similar or even lower numbers. The focus tends to be on the $140,000 high-end SLSA with glass screens and autopilots, but the field is hugely diverse from a price and sophistication standpoint. Into this wide ranges of choices now comes more attention to ELSA. Who says buyers lack choices? Not the LSA community. One of the “diamonds in the rough” of the LSA movement has been the kit LSA or Experimental LSA or simply ELSA. For the first five years of Light-Sport Aircraft, fully manufactured Special Light-Sport Aircraft dominated the sales figures. With very few exceptions, ELSA were nowhere to be found. That’s begun to change, perhaps as voices have been getting louder about the prices of today’s well-equipped and surprisingly capable SLSA. Are ELSA a way to constrain the cost for consumers? Maybe. 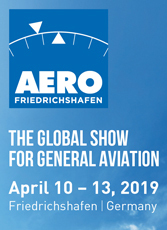 *** In February EAA reported that worldwide GA aircraft shipments included 889 piston-powered aircraft plus a slightly larger number of business jets and turboprops. Shipments declined 11.4 percent because of the struggling economy. However, EAA said, “Interestingly, homebuilt aircraft registrations continued their growth in the U.S. last year. A total of 941 homebuilt aircraft were added to the FAA registry in 2010, an increase of 10 percent from the previous year. Using my trusty Garmin aera (plus a 496... an interesting comparison), the over-water navigation was simple. Lovely islands surrounded by crystal clear water. Some beaches offer landing options. We packed lightly but still had quite a bit of gear in the twin Breezers. While my former home state of Minnesota grappled with enough snowfall to collapse the Metrodome's inflated roof, I'm still hanging out in the Bahamas (yeah, I know, tough job...). *** After the First International Sport Pilot Fly-in concluded all but a couple Breezers flew home. Our group of four, lead by islands expert and U.S. Breezer importer Mike Zidziunas, took a pair of Breezer LSA south to an island called Staniel Cay (pronounced "key" unless you want to easily identified as a tourist). The experience was spectacular in many ways. The trusty Rotax 912s ran smoothly and confidently for as one of the Fly-in pilots put it, "Your engine doesn't know it's over water." *** On the planned trip home, assuming strong headwinds die down following passage of the same giant cold front that dumped all the snow in parts of the U.S., we plan to wend our way through some visually stimulating inter-island flying at low altitude. Mike will install a video camera on the tail of one Breezer and flying in close formation, we aim to capture the twin LSA in some footage the Bahamas tourism office is already awaiting anxiously. Update 12/15/10 — This worked great; check Breezer USA's website to view after they edit and post. —DJ *** My overall experience suggests that LSA can easily negotiate and navigate flights from mainland USA and our modest fuel usage was remarkable news to others we've seen here in the Exumas (a southern chain of islands in the Bahamas). We burned just 6 gallons over the Atlantic en route to Freeport from Fort Lauderdale, another 6 flying from Freeport to Nassau and about 4 more to reach Staniel Cay. Averaging better than 20 mpg at 120 mph makes for quite economical travel. Breezers carry 21 gallons of fuel and with good planning, this proves to be plenty to reach these tropical destinations. *** Large FBOs catering to the jet crowd — such as Odyssey in Nassau — offered polite and excellent service even though we bought a mere $30 worth of fuel. *** I admit flying over large stretches of water sharpens your focus on fuel management and demands good maintenance but I've also flown aircraft over large forests in the U.S. and frankly, I think I'd rather take my chances with a water landing. *** To address such concerns and to inform pilots flying without a medical who might want to venture to these lovely islands, Aviators Hot Line director Jacob Peed plans free webinars on both subjects. Check with the publisher later for details on these informative presentations which may later be offered as podcasts. While my former home state of Minnesota grappled with enough snowfall to collapse the Metrodome’s inflated roof, I’m still hanging out in the Bahamas (yeah, I know, tough job…). *** After the First International Sport Pilot Fly-in concluded all but a couple Breezers flew home. Our group of four, lead by islands expert and U.S. Breezer importer Mike Zidziunas, took a pair of Breezer LSA south to an island called Staniel Cay (pronounced “key” unless you want to easily identified as a tourist). The experience was spectacular in many ways. The trusty Rotax 912s ran smoothly and confidently for as one of the Fly-in pilots put it, “Your engine doesn’t know it’s over water.” *** On the planned trip home, assuming strong headwinds die down following passage of the same giant cold front that dumped all the snow in parts of the U.S., we plan to wend our way through some visually stimulating inter-island flying at low altitude. Pilots receive a full briefing from Greg Rolle of the Bahamas Tourism office at Banyan Air's superb facility. All arrive safely at Freeport to a warm reception. This is my bird, compliments of Breezer Aircraft USA. My wife Randee is exiting the plane while airport staff secured the aircraft. You — nor any Bahamian officials — have ever seen this: a row of LSA at the Freeport airport. Enjoying the night life near Lucaya Resort. Pictured are (R-L): Mike Z, Jacob Peed (kneeling), Bahamas rep Leonard Stuart, Randee Laskewitz, and Dan Johnson. "Too much fun!" was a common exclamation of my Alaska ultralight friend, Mike Jacober. His signature phrase ran through my head as 18 airplanes, mostly LSA, arrived at the Freeport, Bahamas airport for the first Sport Pilot Fly-in over December 10-12, 2010. *** For many this was their first flight over the ocean (including yours truly). It isn't far — 85 nautical miles, less than one hour — and it isn't hard (unless you go for a swim en route... none of us did, thank goodness!). But flying out of sight of land, even for a short time, is rather attention-getting. *** A number of us gathered at Banyan Air Service at the Fort Lauderdale Executive getting first-class treatment and fuel discounts from this "gateway FBO" to the Bahamas. Bahamas Tourism/Aviation director (and fellow pilot) Greg Rolle gave a thorough presentation of the requirements to fly internationally. Each pilot had to complete lots of government forms but they weren't too difficult and the great help made it go quickly. Then, we all gathered our resolve, fired up our engines, and took off across the Big Drink. Of course, this is nothing for those few LSAers who have crossed the Atlantic and Pacific, but it had me on my toes and I suspect most of us felt similarly. *** An hour later, we landed one after another at Freeport to a warm reception by Bahamian authorities and tourist office staffers. We breezed through Customs and waiting taxicabs took us to a deluxe resort where we could all revel in our satisfaction of making the ocean-crossing voyage. Jacob Peed of Aviators Hot Line / Light Aviation Edition provided customized tee shirts for all participants with their aircraft name and N-number. Nice idea, Jake! *** Thanks for this great experience go to Randy Hansen and David Oord of EAA who worked with the Bahamas Tourism team to make the Sport Pilot certificate accepted at all airports throughout the islands. All participants have many people to thank but the Bahamas team leaders include Greg Rolle and Leonard Stuart (photo). *** Continuing Bahamas Fly-ins and other LSA activities are planned and if you get the chance, be sure to take the opportunity. Special thanks to Breezer Aircraft USA boss, Mike Z, who loaned me a Breezer, and who very competently helped me prepare for the flight. Mike's enterprise plans regular Bahamas fly-outs and you should contact him for advice. He's a wealth of knowledge, having lived on and sailed throughout the islands for five winters. “Too much fun!” was a common exclamation of my Alaska ultralight friend, Mike Jacober. His signature phrase ran through my head as 18 airplanes, mostly LSA, arrived at the Freeport, Bahamas airport for the first Sport Pilot Fly-in over December 10-12, 2010. *** For many this was their first flight over the ocean (including yours truly). It isn’t far — 85 nautical miles, less than one hour — and it isn’t hard (unless you go for a swim en route… none of us did, thank goodness!). But flying out of sight of land, even for a short time, is rather attention-getting. *** A number of us gathered at Banyan Air Service at the Fort Lauderdale Executive getting first-class treatment and fuel discounts from this “gateway FBO” to the Bahamas. Bahamas Tourism/Aviation director (and fellow pilot) Greg Rolle gave a thorough presentation of the requirements to fly internationally. Each pilot had to complete lots of government forms but they weren’t too difficult and the great help made it go quickly. Watch a "Flying Bahamas" video to learn more about flying the islands. EAA published some interesting statistics in a chock-full November 2010 issue of Sport Aviation. 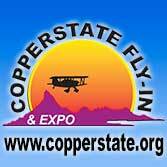 The association will give away a Cessna Skycatcher next year. Thanks to Jim Lawrence for keeping SPLOG full of fun-to-read info while I was massively occupied with a move of the ByDanJohnson.com and LAMA offices from Minnesota to a new home in Florida... Spruce Creek Fly-in near Daytona Beach to be precise. As I return to SPLOG, I have a few interesting tidbits involving LSA or other aircraft Sport Pilot may fly. *** Speaking of Sport Pilots, aviators with that certificate may now legally use it to fly to the Bahamas — the first country outside of the USA to accept the newest FAA license. 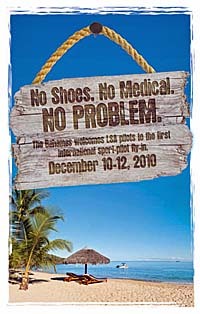 So far, 21 LSA are signed up for the first Bahamas International Sport Pilot Fly-in. Lucky me... thanks to a generous offer from Breezer Aircraft USA boss Mike Z, my wife Randee and I get to join the over-water parade to the Bahamas. Watch video of Mike Z about his earlier flight to the Bahamas. *** Like many, I was disappointed when EAA discontinued Sport Pilot magazine but their work to upgrade Sport Aviation has met with broad member approval. I added my voice to this chorus after reading the November 2010 issue. Nice job, EAA publications staffers! Besides a great article on the Maverick powered parachute dune buggy, Sport Aviation presented some statistics in highly readable form. I want to pull out a few facts that apply to Light-Sport Aircraft fans. • EAA got 1,267 opinions on a variety of topics. 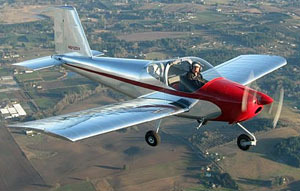 • Six percent say they fly a LSA, a high penetration as Light-Sports are just 1% of the single engine fleet in America. Interestingly, only 19% of EAA's respondents fly a homebuilt. • On average pilots fly with one passenger; hmmm, just like LSA. • Those preferring taildraggers to tricycle gear are in the majority 52 to 48%. • Two other fascinating points, I thought, were that 34% preferred an open cockpit and 40% preferred tandem to side-by-side. • A very substantial 77% prefer a joystick; no wonder most LSA use them. • And 59% prefer to land on a grass strip versus a paved runway. *** Finally, the LSA Sweepstakes continue. 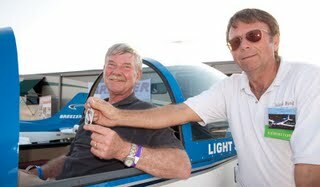 In 2009 EAA gave away a Flight Design MC. During May 2010, Sporty's gave away a Skycatcher. 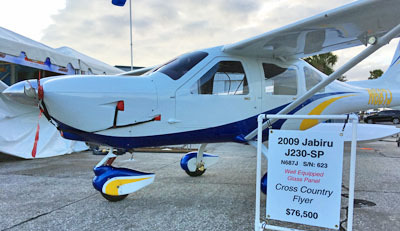 In November 2010, AOPA awarded their Fun-to-Fly Sweepstakes Remos GX. And now, EAA is back again, this time offering a Cessna Skycatcher. Four lucky individuals have won or will win a terrific new LSA, all for the price of entering. 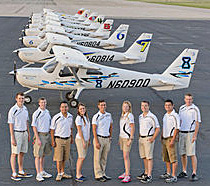 Check out EAA's sweepstakes at WinAPlane.com. Good luck! Thanks to Jim Lawrence for keeping SPLOG full of fun-to-read info while I was massively occupied with a move of the ByDanJohnson.com and LAMA offices from Minnesota to a new home in Florida… Spruce Creek Fly-in near Daytona Beach to be precise. As I return to SPLOG, I have a few interesting tidbits involving LSA or other aircraft Sport Pilot may fly. *** Speaking of Sport Pilots, aviators with that certificate may now legally use it to fly to the Bahamas — the first country outside of the USA to accept the newest FAA license. 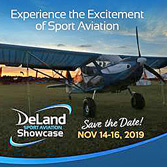 So far, 21 LSA are signed up for the first Bahamas International Sport Pilot Fly-in. Lucky me… thanks to a generous offer from Breezer Aircraft USA boss Mike Z, my wife Randee and I get to join the over-water parade to the Bahamas. Watch video of Mike Z about his earlier flight to the Bahamas. Mike Z Sport Aviation If you live in Central Florida and pursue recreational aviation, odds are you know or have heard of Mike Z. His last name is Zidziunas and now you know why everyone calls him “Mike Z.” Mike is well known in the hang gliding community and among ultralight enthusiasts. He has wide experience, including sail repairs (the same kind of work sometimes needed by hang glider pilots), being an A&P mechanic and LSA Repairman with plenty of knowledge of aircraft repairs. 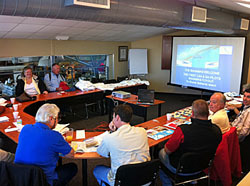 More than being qualified himself, Mike’s Plant City, Florida, airport operation has been the host quarters for one of Rainbow Aviation’s LSA Repairman courses. Many of the people who have come to know Mike took flight lessons from him or had maintenance done by him. 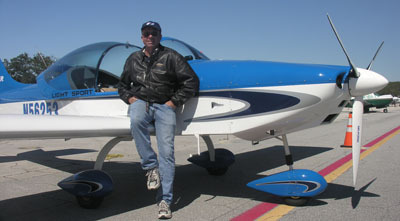 Some LSA enthusiasts know he assembles airplanes for Sportsplanes.com, specifically models like the Breezer II, the Skylark, the C-42, and others. Mike has also worked closely with another Central Florida legend, Jay Kurtz, a DAR who attracted attention last year by gaining ELSA approval for a Van’s RV-9 done as lightly as possible so that it could qualify as a light sport aircraft. PANEL UPGRADE - The original Breezer (gray panel) was upgraded significantly to the new color and style-themed Breezer II (with color panel insets). Both employ the angled radio stack section and the fuel quantity indicator (edge of angled panel). CLEANED-UP DESIGN - The Breezer II paint job is itself a nice enhancement, but the wing root is now cleaned up as part of the overall effort to upgrade the design, which is now being manufactured by a new German entity, Breezer Aircraft. FIRST VIEWING - The original Breezer made its debut in the summer of 2005 after winning airworthiness as a Special Light-Sport Aircraft. While the basic design remains the same, the new producer, Breezer Aircraft, has done good work to improve the airplane. TOP GUNS - Mike Zidziunas, or simply "Mike Z" (seated), brought the Breezer II with his student, Greg, from his home base at Plant City airport in Central Florida. Mike runs Mike Z Sport Aviation where Breezer II's are assembled for customers. INNER BREEZER - This tail cone view of the Breezer clearly reveals its all-metal construction. What you cannot see is that all these surfaces come corrosion-proofed from the factory, which should ensure a long life for the metal. Close to Perfect It usually takes more than one try to get something right. To get close to a perfect aircraft usually takes many iterations, but Breezer Aircraft has come very close to producing a wonderful light sport aircraft with their Breezer II. We've seen the Breezer before when the U.S. importer brought the thennew model to AirVenture Oshkosh '05. I flew it that year and recently got the chance to fly the Breezer II. While many of the good qualities found in the earlier model were retained, some nice improvements have been made. But it isn't the airplane that is the real story. As experienced airplane buyers know, it is often the company behind the airplane that is the main story. Breezer's Brief Design History The design history is brief because the Breezer is a new aircraft, not seen before '05 except during its early development. That older, original Breezer was produced under agreement by Comco-Ikarus, the same folks that make one of Germany's bestselling ultralights (a different class than American ultralights), the C-42. 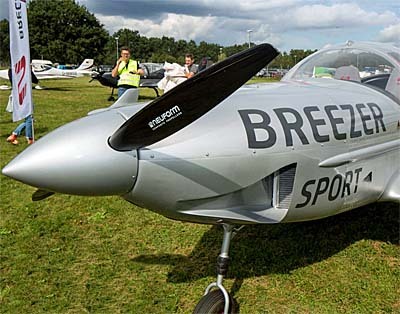 U.S. distributor Sportsplanes.com first got involved with the Breezer when it was produced by Comco-Ikarus via an arrangement with Simon Du Boulay, a UK-based agent for the German company. However, beyond the reach of Sportsplanes.com or Du Boulay, the agreement with Comco-Ikarus fell into dispute and the production of the company was halted. Using his handsome design, designer Ralph Magnussen linked up with an investor in Europe - a man involved with the design and production of windmill power-generating systems - who took over the production, adding new equipment and quarters. Now the airplane that rolls out of Breezer Aircraft offers an improved finish and flies even better. The aircraft are on a more orderly production, reports the American importer, Sportsplanes.com, and availability is better than ever. Of course, like all aircraft valued in euros, the sticker price is up substantially since '05. Unlike most aircraft crossing the Atlantic, the Breezer II is an all-western-German design and production. Most light sport aircraft come from Eastern European countries, more often than not the Czech Republic. The Breezer fuselage and wings are made of aluminum with the engine cowling, the upper part of the fuselage, and the wingtips made of fiberglass. Sportsplanes.com says all the bare metal inside the airplane - including all those areas you never see - have been corrosion-proofed. A steerable nosewheel leads an undercarriage made of thick fiberglass. Controls are conventional 3-axis employing flaps, ailerons, elevators, and rudder. As with most European suppliers, the Breezer is powered by the 4-cylinder, 4-stroke, liquid-cooled Rotax 912UL version producing 100 horsepower. This firewall-forward package includes standard Rotax electric starter, electronic dual ignition, stainless steel exhaust system with integrated cabin heat, integrated reduction gearbox, and carburetor preheating. Basic equipment includes a Neuform groundadjustable, 2-blade, carbon-fiber propeller with fiberglass spinner. You enter the 46- inch-wide cabin after sliding the canopy aft. The Breezer shares looks with many low-wing airplanes, but it is an original design. I found this out when I tried to enter the airplane. Instead of the familiar trailing edge entry where I try to avoid stepping on the flaps, I instead walked toward the engine compartment. Here, in front of the wing, I saw a peg step intended to help entrants clamber over the leading edge. I liked it. Your weight doesn't tilt the plane aft and you have the windscreen support to use for a handgrip. With an aft-sliding canopy, the step design makes sense. The only downside is that you must be certain the engine has stopped before anyone exits the Breezer II. Once on the wing you step into the cockpit via the seats, again like nearly all low-wing designs. Using the seat back, you slide down into position. A roomy cockpit aids egress and the front canopy frame affords a sturdy grasp to help you up and out. Despite these helpful qualities, even on this new plane the floor carpeting had started to bunch up from occupants pushing themselves back against the seat as part of the exit effort. The Breezer's fuel system is as it was before, but with that highly visible and very clear presentation of remaining fuel. Fortunately, the Breezer II shows quantity in gallons rather than liters as on the original Breezer I flew. 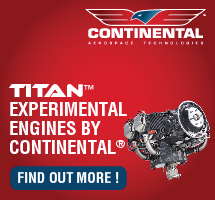 Both airplanes offered a choke and fuel shut-off but no carb heat, the common combination for Rotax engines. Elevator trim changed from a mechanical control on the center console to a handier electric trim atop the joystick, though its operation struck me as counterintuitive. The front button raises the nose and the rear button lowers it. I would prefer it the other way. The Breezer II's flap control on the center console is clearly labeled and an indicator appears right alongside it. The flap button is unfortunately almost flat so feeling its position isn't automatic. Plus, the flap indicator is upside down to my reference; the top of the indicator composed of a row of LED lights is labeled "Down" and the bottom of the indicator is labeled "Up." I got used to it. Up on a Breezer Mike Zidziunas provided my flight (see sidebar, "Mike Z Sport Aviation"). He's become an expert on the new Breezer and believes the next models to come from Germany will have the flap indicator up on the control panel so you don't have to be head-down to view the flap position. That will continue a pattern of steady improvements of this design. Mike also observed that vernier throttles popular on LSA use a screw method that can actually damage throttle parts because it can exert a large mechanical advantage not sensed by the pilot. You could unscrew the throttle so far, Mike believes, that you could shut the engine down, a fact that might not be obvious on landing approach as the prop could continue windmilling. This comment may apply to any LSA that use such a throttle. In my experience, when we pulled up to park, I twirled back on the vernier and went far enough to shut down the engine before I could reach the usual switches. The Breezer II's interior was good, providing a fit and finish that impressed Mike. I viewed it as a notable improvement with a style and color theme that made a good presentation compared to the plainer earlier model. Being a Floridian, Mike had installed some window sunscreens that helped keep the heat off our heads. The radio stack area was gently angled toward the pilot. It was located on the copilot's edge of that angled section of panel that reveals the fuel quantity indicator tube. The Breezer II has a spacious hat rack area but also a smaller locker aft of the seats that holds 44 pounds with tie-down straps, also available. The design possesses enough useful load to benefit from this baggage area. The canopy slides aft and we taxied with it in that position, a welcome quality for a low-wing airplane being operated in a warm climate. A single latch centered overhead secured the canopy in flight. Like other designs, the Breezer has dual joysticks but the earlier design with its dual outside throttles popular in Europe gave way to a more common single center throttle with the vernier control. The Breezer II's instrument layout was composed of conventional analog gauges . ASI, rate of climb, tachometer, gyro, compass, sensitive altimeter, and a slip indicator . all mounted in front of the pilot. On the right side were engine instruments for oil temperature, water temperature, and cylinder heat temperature. On its angled center panel, the 2008 Breezer II had an Air Gizmo dock holding a Garmin GPS. Underneath was mounted a conventional radio stack with radio and transponder. On a sloped center console, I discovered a pivoting lever for the choke, a fuel shut-off knob, and an electric flap switch. The older Breezer had a trim knob that went to electric operation mounted atop the Breezer II's control stick mounted. The earlier Breezer used a centrally mounted hand brake with a parking feature alongside the since-replaced flap lever. The Breezer II went to more conventional toe brakes that general aviation pilots will love. Easily seen yet subtly hidden was a fuel sight gauge. Right where the angled panel steps back to the engine gauges on the right is a rounded lip. At this point, a clear tube was mounted behind a slotted opening so that levels of fuel remaining can be illustrated on the panel. The early Breezer showed fuel quantity in liters; this has been changed to gallons on the Breezer II for the American market. Aft visibility was unusually good in the Breezer II. I could see the rudder by turning slightly. By turning more fully I could check traffic over a wide area above the fuselage. Forward visibility was also good, but naturally, the low wing prevents straight down viewing. When I flew the original Breezer, I found it a most cooperative landing aircraft, which qualifies it for training, especially given its good low-speed characteristics. Nonetheless, the Breezer II is a light airplane with light wing loading that could be overcontroled. Breezing Around I learned about "overflying" the Breezer II during landings. I tried to deep-flare the airplane when it worked better to attitude-land it, letting the Breezer II settle to the runway. When I used this technique, I had wonderful landings that were child's play. Beforehand, I held the nose too high, flying a bit slowly. I had to concentrate to lower the nose to maintain the correct approach speed. The Breezer II does appear to have a good glide, but the view over the nose causes some pilots to want to lift it. I used 21.2 indicator bars to set flaps for landing, at least with this particular Breezer II. I didn't care for the position of the flap indicator and I wished it read the opposite way, but the LED bars are quick to assess. Though I never used them all for landing, I did deploy full flaps to 45 degrees aloft and performed slow flight. It went well and the Breezer II flew very slowly, hanging easily on the edge of stall with an absurdly low airspeed reading. Mike pointed out that with flaps that low, the Breezer II shakes around and lets you know you have an unusual configuration set. The Breezer's slow-speed characteristics were quite impressive. When we maximized the exercise at a safe altitude, the airspeed indicator read below 30 mph indicated. At such slow speeds and high angles of attack, instruments give erroneous readings. But I could sense the slow movement through wind noise. I needed a little more rudder to enter turns at slow speeds, but the controls remained quite effective. Overall, the Breezer largely handles via the joystick. Rudder pedals needed very little input to make coordinated turns, but neither can you ignore their operation. The Breezer II does not automatically resume straight flight. You must apply action to the rudder pedals to straighten the airplane. No return springs are used to help center the controls. Mike, a longtime Avid Aircraft pilot, says he takes corrective action without even thinking about it, but a general aviation pilot with all his or her experience in a Cessna 172 would have to learn this control technique. Stick pressures were good, not particularly light but very solid and predictable. Through maneuvers like the Dutch roll coordination exercise done at slow speeds, I found the stick range was slightly limited by our legs and outside aircraft structure, though this would rarely be experienced in normal flying. The Breezer II had a good roll rate and the breakout forces were light. Mike has observed that most general aviation pilots tend to "overfly" the Breezer II, that is, they use more coarse control input and don't use a light enough touch. Instead, he indicated, they should just let the airplane "have his head" more. When I followed Mike's advice, things went swimmingly; it pays to listen to your instructor. General aviation pilots accustomed to flying heavier airplanes that don't respond as quickly get more of a heavy hand on the controls and this works against them in light sport aircraft. Overall, the Breezer was very stable and felt quite solid, a joy to fly. I could detect no oil canning in its metal wing surfaces. Like a number of LSA, the Breezer is genuinely lightweight, yet can carry a load. Even loaded with full fuel (18.5 gallons), the Breezer can haul two 225-pound occupants plus 50 pounds of luggage. With full fuel, the Breezer can carry this payload for longer than 3 hours and some 400 statute miles. Running Swifter Mike feels sure the Breezer II flies a bit faster, though he hasn't yet found the reason why. The earlier Breezer I flew managed 105 knots at about 5,000 rpm where this Breezer II ran 115 knots at 5,200 rpm on the 100-hp Rotax 912S. Mike speculated the earlier Breezer might have been slightly out of rig. His memory is good; my notes reflected that as well. Climb was strong, better than 1,000 fpm. This performance gave the feeling that Breezer II was "athletic." Its 18 gallons of fuel produced a 300-mile range, says Mike. That's all I need, though some pilots hanker for longer, bladder-challenging distances. During the high power running at lower elevations, all the engine instruments read below green or in the lower green range, speaking well of engine compartment cooling. When throttling back for slow flight, I was amazed that at a 3,500-rpm power setting we could nearly maintain altitude. Steep turns went well to the right in that I was able to hold altitude at only 4,000 rpm, which is a medium setting and definitely not the added throttle over cruise power most general aviation planes seem to require to maintain altitude while banked at 45° to 60°. Steep turns done to the left required a slight addition of power. The original Breezer had been equipped with a ballistic parachute system; the Breezer II was not. I missed this emergency device that is common on LSA. Curiously, previous Breezer producer Comco- Ikarus once developed their own Ikarus FRS (Flight Rescue System) and offered the system back in '82, the same year American builder BRS delivered its first units. Stalls in the Breezer II produced a little break, but controlling it took modest effort and no added power was needed to recover quickly. The airplane wandered somewhat at stall. Both power-on and power-off stalls were modest and slow, reading well below 40 mph indicated though, as usual, airspeeds in this low range are often slightly in error. Accelerated stalls to the left rolled to level. To the right, the Breezer II did not roll to level and required some control application to recover. When I performed a yaw stability check with firm application of rudder and release, the Breezer II did not automatically resume straight flight. I had to apply action to the rudder pedals to straighten the airplane. At one point, without such corrective action, I found myself flying along with the slip-skid ball well outside of center. Cruise power stalls done at 5,000 rpm got mushy with the nose held high, but the nose showed no tendency to break over. Throughout the stalls, steep turns and fast runs, I heard no creaking in the airframe. The Breezer II's overall polite behavior reinforced the trainer capability of this reasonably speedy airplane. Stir Up a Breezer? 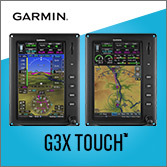 My flight with Mike was in N304WS, which he indicated is priced at $126,000 equipped with the Garmin SL40, the Garmin GTX 327 transponder, and the Air Gizmo Garmin GPS dock (but not the Garmin GPS). The blank spot in my panel photos will later be fitted with an optional TruTrak artificial horizon, says Mike. Mike also reported that the producers in Germany have been very good to work with and they make changes quickly. He also stated that Breezer Aircraft has shipped planes according to schedule so far. Indeed, Sportsplanes.com has Breezer II's in stock as this issue goes to press. For the Breezer II's base price you get quite a finished aircraft. Standard equipment includes upholstery for the seats, cockpit and luggage area made of quality textiles and a blue-tinted lockable canopy with fresh-air inlets on the left and right. Cabin heating is standard, as are hydraulic disk toe brakes plus electric elevator trim and flaps. Flight instruments include altimeter, airspeed indicator, compass, vertical speed indicator, and bank indicator. 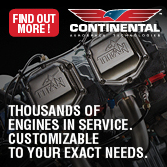 Engine instruments include a tachometer, oil pressure indicator, cylinder head temperature gauge, oil temperature gauge, and a sight fuel gauge mounted in the instrument panel. Creature comforts include a 12-volt outlet and luggage area behind the seats. Supplied by a new and well-equipped factory, the Breezer II enjoys quality control based on work done completely in Germany. 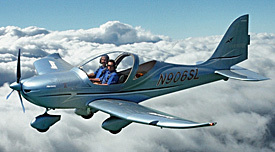 The model has earned its Special Light-Sport Aircraft (SLSA) certificate and proved its good manners to me, twice. But the only way for you to know if the Breezer II is right for you is to fly it and talk to the Sportsplanes.com folks representing it in the USA. One of their 15 regional centers can probably arrange a demo flight for you soon. Go enjoy the Breezer II. 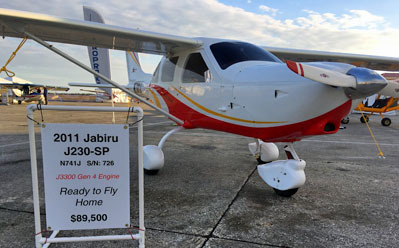 Standard Features Rotax 912 with electric start, basic panel instruments, familiar all-metal construction, sliding canopy, hydraulic toe brakes, adjustable seats, electric flaps and pitch trim, dual controls, 4-point seat belts, cabin heating, ventilation, baggage area. Options Numerous additional instrumentation, including glass displays, radio choices, autopilot, IFR instrumentation, ballistic parachute, lighting packages. Construction Aluminum airframe, fiberglass fairing components, all-aluminum wing and tail skins and fuselage. Made in (formerly West) Germany; distributed by an U.S.-based company with American dealers. Pros - Redone, improved design in its second generation, now supplied by a well-financed manufacturer. All-metal design with an attractive shape. New features address the U.S. market well (toe brakes, for example). Good payload, able to carry two rather large occupants plus baggage. Cons - Earlier problems with the supplier of the older Breezer model may have tainted some resale buyer opinions. Even without the history, the Breezer is not well known in America yet; building name recognition takes time and good results, all yet to be determined. Pros - Fully equipped Breezer II features nice improvements over the first model brought to the USA. Trim and flaps are now electric; trim is on the joystick for easy access. Legions of pilots unused to hand brake arrangements will welcome toe brakes. 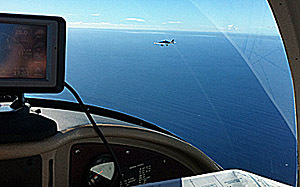 Cons - Flap indicator is in a poor position, resulting in a head-down pilot at a time when he or she needs to be observing landing approach or departure. Flap switch is too flat to tell its position without looking. Some pilots won't consider the 18.5-gallon capacity to be sufficient. Pros - Spacious 46-inch-wide cockpit will accommodate all but the very largest occupants. Entry over the leading edge, thanks to a well-located entry peg/step, is better than the more common step-over-the-flap entry. Large hat rack can be reached in flight. Good instrument panel space available. Cons - Like many low-wing designs, you must step on the seat for entry and must push yourself back up for exit (caused carpet bunching even on a new test aircraft). Sliding canopies have some quick-exit vulnerability in landing upsets. Pros - All general aviation pilots will love the new toe brakes, which worked very well. Visibility was excellent, even to the rear as you are doing control checks. Gear absorbed bumps well. Turn radius was fairly small and can be aided with differential braking. Cons - Low-wing airplanes are not considered particularly versatile on uneven, unimproved strips due to wing clearance. Quick exit out of the Breezer II is not as fast as some designs (you must lift yourself up and out). No other negatives. Pros - Easy-landing design (when you follow instructions and let the plane have its own head). Superb visibility for takeoffs and landings; good traffic check capability and low nose on landing gave a wide-open view. Flaps were quite effective. Low-speed capability made for low landing speeds and easy touchdowns. Cons - You can (I did) "overfly" the Breezer II on landings; it prefers an attitude approach to a deep flare (which I almost always attempt), somewhat unusual for an airplane with light wing loading. Slips were workable, but I did not find them highly effective (though good flaps obviate the need for slipping). Pros - Quality controls with good response yet without twitchy action; new pilots and students should like the Breezer II handling. Easy stick reach and response; most pilots will find controls comfortable. Steep turns held a good circle easily without adding power. Cons - You must use the rudder pedals for coordinated turns and you must return them to neutral by pilot input; didn't return aerodynamically in evaluation. Pros - Excellent climb performance. Glide also seemed strong, helping make easy approaches to landing. Speed showed enhancements from earlier model to the Breezer II with cruise at 115 knots at 5,200 rpm (though earlier model may have suffered from rigging errors). Excellent slow-flying qualities. 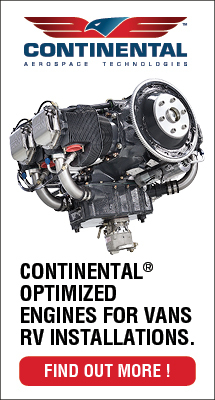 Cons - Fuel capacity at 18.5 gallons only yields a 300-nm range, insufficient to please all pilots. Not quite the fastest among LSA (though only marginally below the top performers). Pros - No stalls exhibited any deep nose break. All stability checks showed a well-considered design (see "Cons" for rudder response). Power response and longitudinal checks proved a stable flying design. Steep turns maintained altitude with no power added. Cons - Rudder pedals required that I move them in the desired direction. The Breezer II will not automatically return to straight flight after rudder deflection; it's easy but you must do it. No parachute fitted to this evaluation Breezer II, so no unusual attitudes explored. Pros - New producer gives this quality design new importance in the market. Good improvements made to better fit the American market. Tasteful color and style themed interior treatment will please resale buyers. Experienced importer with 15 regional outlets across the country. Cons - Few Breezers flying in the USA, making resale value unknown. Change of producers may cause some buyers to wait for more experience. Some pilots living in warm, sunny climates don't desire low-wing, bubble canopy designs. Supply of parts and repair expertise is still growing. Close to Perfect It usually takes more than one try to get something right. To get close to a perfect aircraft usually takes many iterations, but Breezer Aircraft has come very close to producing a wonderful light sport aircraft with their Breezer II. We’ve seen the Breezer before when the U.S. importer brought the thennew model to AirVenture Oshkosh ’05. I flew it that year and recently got the chance to fly the Breezer II. While many of the good qualities found in the earlier model were retained, some nice improvements have been made. But it isn’t the airplane that is the real story. As experienced airplane buyers know, it is often the company behind the airplane that is the main story. Breezer’s Brief Design History The design history is brief because the Breezer is a new aircraft, not seen before ’05 except during its early development. That older, original Breezer was produced under agreement by Comco-Ikarus, the same folks that make one of Germany’s bestselling ultralights (a different class than American ultralights), the C-42. Politicians take actions that are often viewed negatively by small business owners, which term basically defines nearly every LSA producer. But sometimes government leaders do good things; this may be one of those stories. Even while EASA (the European equivalent to FAA) talks about job-killing regulations, perhaps the cottage industry of Light-Sport Aircraft discovered a new friend in high places. *** Breezer Aircraft makes a handsome and impressive all-metal airplane in the north of Germany. The design has been around a decade but new management took over in 2006 and they've been forging ahead. Among other positive developments, Breezer recently moved to a new airfield and they were surprised and pleased when a German state official showed up to helped commemorate the event. "Schleswig Holstein (the northernmost of the 16 states of Germany) Prime Minister Carstensen opened our airfield," boasted Breezer officials. "This is already pretty remarkable. But then PM Carstensen stepped into one of our aircraft and asked for a lift to his next appointment and this was quite astonishing." Can you imagine any American politician doing such a thing? *** "Prime minister Carstensen gave an amazing speech during our Grand Opening," reported the company. He focused on the initiative and the innovation of companies like Breezer that call Schleswig Holstein their home. Right before his talk, a flock of five Breezers arrived in formation from the LSA manufacturer's nearby temporary base at Husum EDXJ. *** Photos show Breezer Aircraft's new new airfield equipped with Terra Grid, grass planted in a pattern of solid material. "It's like an green aircraft carrier," they say. This new field more easily allows Breezer customers to visit by plane. *** Mr. Peter Harry Carstensen is President of the Federal Council (Bundesrat) of the Federal Republic of Germany and he is Prime Minister of the German State of Schleswig-Holstein. The President of the Federal Council ranks No. 2 in protocol after the German Federal President. Hmmm... maybe Mr. Carstensen can help LAMA Europe in its battle with EASA over the burdensome regulations they propose? At least it appears he's a friend of light aircraft. Politicians take actions that are often viewed negatively by small business owners, which term basically defines nearly every LSA producer. But sometimes government leaders do good things; this may be one of those stories. Even while EASA (the European equivalent to FAA) talks about job-killing regulations, perhaps the cottage industry of Light-Sport Aircraft discovered a new friend in high places. *** Breezer Aircraft makes a handsome and impressive all-metal airplane in the north of Germany. The design has been around a decade but new management took over in 2006 and they’ve been forging ahead. 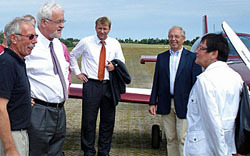 Among other positive developments, Breezer recently moved to a new airfield and they were surprised and pleased when a German state official showed up to helped commemorate the event. “Schleswig Holstein (the northernmost of the 16 states of Germany) Prime Minister Carstensen opened our airfield,” boasted Breezer officials. “This is already pretty remarkable. It didn't work out the first time. Breezer I wasn't quite mature for market. The import structure was unwieldy adding cost and distancing the customer from the source. 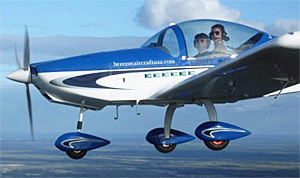 As Breezer Aircraft took over manufacturing of the all-metal LSA, Breezer II arrived in 2008 joining new leadership in Europe with fresh representation in the USA. *** As of Sebring 2010, central Florida light aircraft guru Mike Zidziunas -- or simply "Mike Z" -- will become the point man for Breezer Aircraft USA. And he'll handle things differently from most LSA sellers. His plan is more like that used successfully by Cirrus. The source of the airplanes handles the whole country using representatives in various areas as touch points. "I feel that the conventional dealer network is ponderous and it's difficult to control the quality of service," expressed Mike. "To address service after the sale, when we deliver the airplane we offer as part of the purchase of the airplane a 5-hour FITS-style pilot training program. Insurance companies love this. But we also train the customer's maintenance person at their home airport." *** So, recapping: you buy an airplane from Breezer Aircraft USA; Mike will assemble, register, and fly it to your home field. He'll train you for five hours and he'll train your maintenance person. If problems arise, he'll come fix them. That may be too much service provided to sell a large number of airplanes but buyers are likely to feel pampered. Interestingly, this business model is used in the bizjet and exotic car markets as well. *** Read my upcoming full-length pilot report on Breezer II in the April 2010 edition of Light Sport and Ultralight Flying. It didn’t work out the first time. Breezer I wasn’t quite mature for market. The import structure was unwieldy adding cost and distancing the customer from the source. As Breezer Aircraft took over manufacturing of the all-metal LSA, Breezer II arrived in 2008 joining new leadership in Europe with fresh representation in the USA. *** As of Sebring 2010, central Florida light aircraft guru Mike Zidziunas — or simply “Mike Z” — will become the point man for Breezer Aircraft USA. And he’ll handle things differently from most LSA sellers. His plan is more like that used successfully by Cirrus. The source of the airplanes handles the whole country using representatives in various areas as touch points. “I feel that the conventional dealer network is ponderous and it’s difficult to control the quality of service,” expressed Mike. “To address service after the sale, when we deliver the airplane we offer as part of the purchase of the airplane a 5-hour FITS-style pilot training program. Breezer dealer Mike Zidziunas had a double-good day. *** First, a potential buyer he'd been working with whipped out a blank check and said, "How much do I fill it in for?" *** Congratulations Mike! *** He also announced the German company has named him sole U.S. Distributor for the Breezer II, which he'll take over from Sportsplanes.com. He'll do business as Breezer Aircraft U.S.A. *** Owner Dirk Ketelsen and marketing rep Wolfgang Nitschmann joined the celebration and lauded Mike's deep background in LSA engine repair and maintenance, flight training, and assembly/final test flying of imported aircraft. Breezer dealer Mike Zidziunas had a double-good day. *** First, a potential buyer he’d been working with whipped out a blank check and said, “How much do I fill it in for?” *** Congratulations Mike! *** He also announced the German company has named him sole U.S. Distributor for the Breezer II, which he’ll take over from Sportsplanes.com. He’ll do business as Breezer Aircraft U.S.A. *** Owner Dirk Ketelsen and marketing rep Wolfgang Nitschmann joined the celebration and lauded Mike’s deep background in LSA engine repair and maintenance, flight training, and assembly/final test flying of imported aircraft.